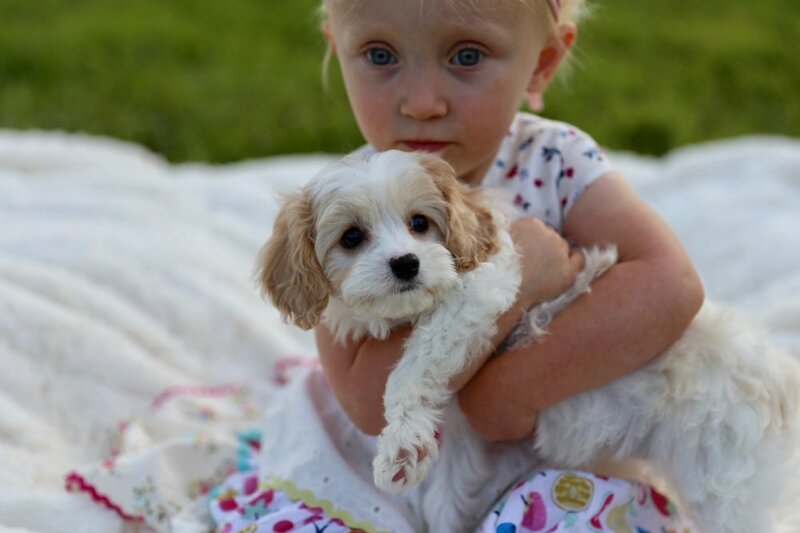 So you've begun life with your new puppy, the kids are over the moon with delight and scenes like this one with Clara Rose (my most willing dog loving niece and 1st class assistant puppy holder) fill your days and your Instagram feed, each image more enchanting than the next. 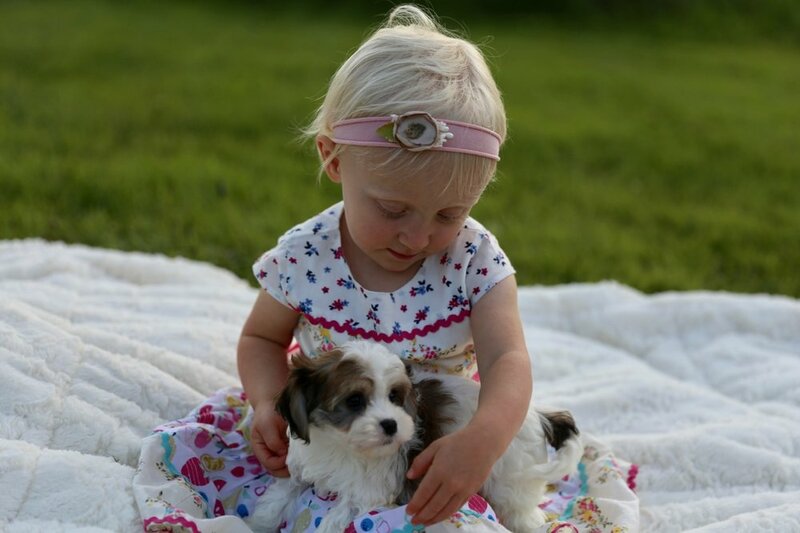 But do you know what I see when I look at photos of little kids playing with the family dog? I see all those hundreds of packages of flea drops, the pills, the collars all the beef flavored chews that I handed out to our clients at the animal hospital where I worked. I don't believe that anymore, I've watched in dismay as 1000's of reports of dog deaths and illness fill that records of "adverse reactions" watched as the FDA pulls product after product amid exposure and safety concerns. I sit up late some nights reading alarming reports and studies about the flea products that we've been assured are safe and I get more and more angry as I read research pointing to cancer and the frightening array of side effects tied to these products. Products that my clients use because they've been been assured year after year after year that there's nothing to be concerned about. Do your little ones hold your family pet? Kiss that much-loved puppy or dog over and over, of course they do!? It's up to you to take steps to protect them, to protect yourself too. Some day the tide will turn and I'm encouraged to see more and more recalls, and veterinarians admitting that these products are perhaps NOT safe for our pets but it will take decades for to turn back the clock and for unsafe products to be pulled from the market. In the meantime, I'm absolutely convinced that they pose potentially frightening health risks for the children that live with them. Start by educating yourself about both the dangers and the safe alternatives, there are natural sprays for your pet, your yard and house (Wondercide has good ones) and Agatha's has two good products (we are doing a giveaway soon) that can help, but you must do your homework and not blindly reach for that monthly nuclear flea control and bury your head in the sand about what it could be doing to you and those you love. 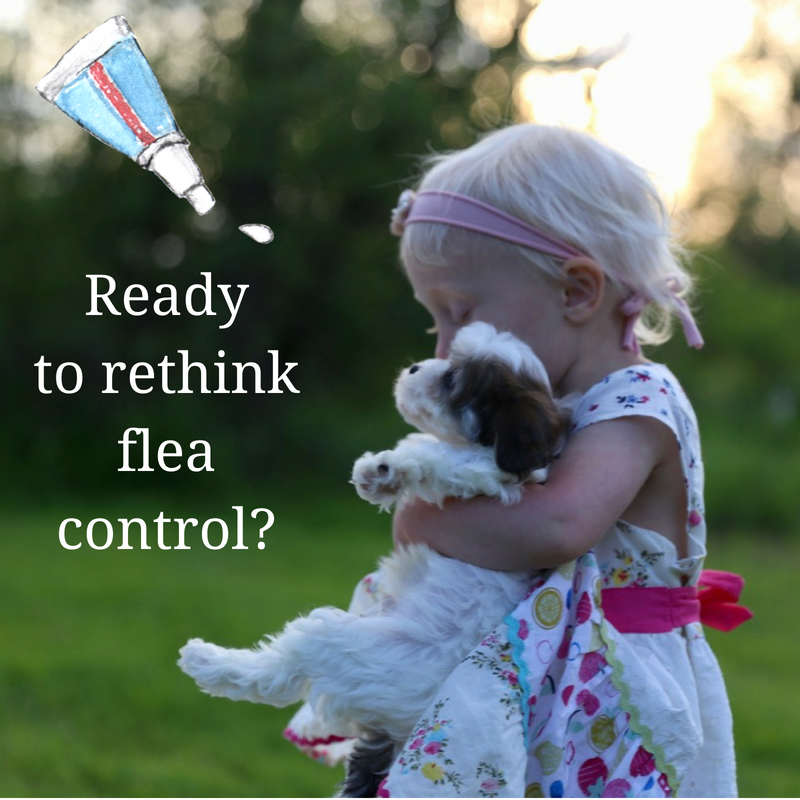 I've written an eBook, Flea Free Naturally, after years of clients pleading for advice on ways to wean off chemical pest controls, I wanted to give people a path and show you step-by-step, ways that will allow you to stop exposing your family to this toxic nonsense that could make you or your pets or your kids sick, do it now, please.